A new English-language cut of director Erik Skjoldbjærg’s Pioneer trailer is now available for your viewing pleasure, along with a new poster for the Norwegian thriller. 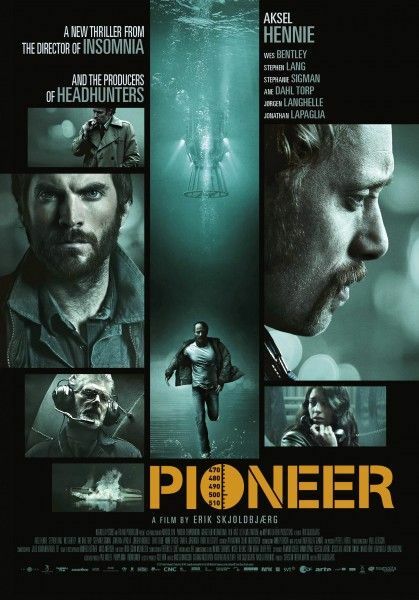 Starring Wes Bentley, Stephen Lang and Aksel Hennie, Pioneer follows a deep-sea oil drilling mission that results in tragedy for one of the team’s most ambitious divers. An accident on the job eventually forces him to question his sanity as he suspects others around him as being part of a conspiracy. The new look does a good job of setting the stakes and teasing the intrigue, which shows why George Clooney and Grant Heslov were so eager to adapt it for American audiences. The original version will open overseas on April 11th. Hit the jump for the Pioneer trailer and poster. Rumor: Could Bill Condon Direct Disney’s Live-Action BEAUTY AND THE BEAST?